Experiential travel is more popular than ever so we thought we would highlight a few of our favorite things: sunrises, sunsets and authentic luxury experiences. Below are some of our favorite noteworthy sunrise and sunset experiences from a sunset flower drop at the high infinity pool in Waikiki to the ultimate sunset photography class in 37,000-acres of Montana. Put these six unique resort sunrise and sunset offerings around the world on your bucket list now! Picture this: the sun is making its final breathtaking appearance across the Montana landscape and, this time, you’ll have the skills to capture it with justice. This summer, let Paws Up Resort Photographer Stuart Thurlkill lead you on a sunset photography tour, and you will learn how to capture that perfect photo. It’s a chance for you and your kids to gain a better understanding of light, composition and color, as well as a deeper appreciation for nature. You’ll see the world through a different lens, and head home with a collection of photographs to cherish your time in Big Sky Country. 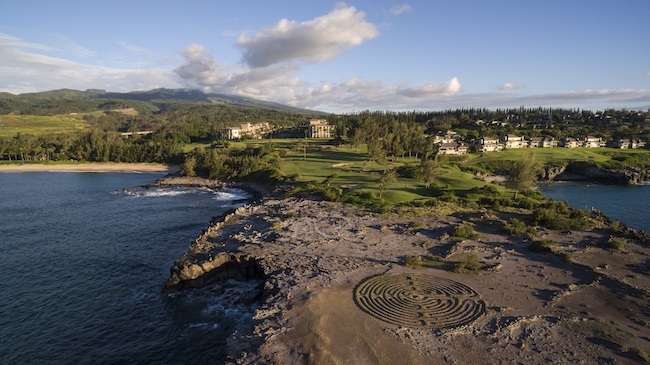 A secluded oasis nestled in one of Hawaii’s largest nature preserves, Kapalua Resort, The Ritz-Carlton, Kapalua, is Maui’s most authentic Hawaiian resort, priding itself on its native Hawaiian experiences and cultural focus. As part of the resort’s extensive nature and culture-oriented programming, guests are invited to join Clifford Nae’ole, The Ritz-Carlton, Kapalua’s resident cultural advisor, for Hiuwai & e ala e. The traditional Hawaiian cleansing and sunrise ritual allows guests to begin the day anew at the beach with the rising of the sun chant before they wade into the serene water to cleanse their spirit and rinse away their worries. Clifford, the Ritz-Carlton brand and the Hawaiian Islands’ first cultural advisor, aims to show guests the beauty in their traditions. Guests can continue their journey in learning from the native people through other immersive experiences, such as the tour to the adjacent Honokahua Preservation Site, a recognized Hawaiian sacred site and burial ground, which the resort proudly maintains. Guests are encouraged to find rich meaning in their vacation by appreciating the island for both its natural beauty and the native legacy celebrated every day. 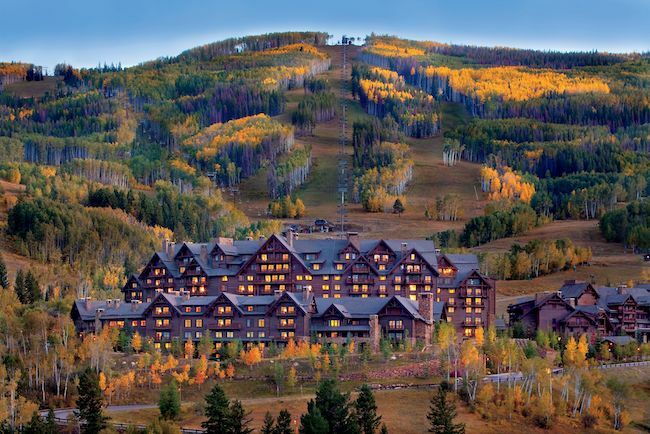 A year-round destination for adventure and exploration, The Ritz-Carlton, Bachelor Gulch is Colorado’s premier Rocky Mountain paradise, offering panoramic views of the surrounding valley. As part of the resort’s Naturalist Program, guests can embark on the Sunset Stroll, a twilight excursion to watch the sunset and the night sky fill with stars through this private guided hike experience. The resort’s Resident Naturalists will bring the emerging celestial wonders to life through Native American legends and fascinating scientific revelations. Well-mannered pets are welcome to attend all nature programs. 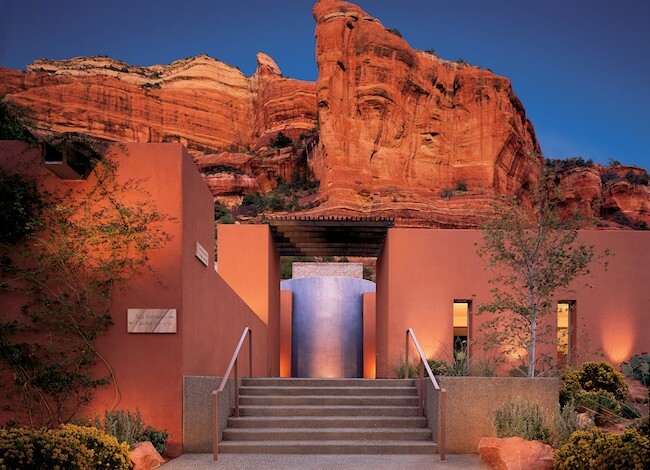 Mii amo, a destination spa situated amongst the stunning red rocks of Sedona, Arizona, is known for its sacred Native American connection and unique and luxurious spa treatments. Referred to as the ‘heart and soul’ of Mii amo, The Crystal Grotto is based on the Native American Kiva – an enclosed, sacred room used for spiritual ceremonies. Taking place daily inside the grotto, Mii amo hosts a daily “Morning Ritual” where one of the therapists will lead a meditation-type ceremony as a way to reset, reenergize and clear space for the intentions set during a guest’s Journey. The grotto features an aperture in the domed ceiling, which has been carefully positioned to focus the sun’s rays onto the center of the room during the Summer Solstice. A crystal mandala, illuminated by the sun and moon, lies within the space and is made up of four large crystals placed in the four “corners of the world’ (East: red jasper, West: black rainbow obsidian, North: white selenite, South: yellow citrine). In the center of the space is a quartz crystal cluster atop a round of Arizona petrified Ponderosa pine with light and water flowing through it. Situated oceanfront on the southern tip of Bali in Nusa Dua, The Ritz-Carlton, Bali offers guests a one-of-a-kind opportunity to experience an authentic Soul Purification Ritual – a time-honored tradition of the Hindu-Balinese culture. The practice is centered around holy water – an agent of the power of God – which relieves one of spiritual impurities, and aids with the immunity to attacks of negative influences. At The Ritz-Carlton, Bali, the Soul Purification Ritual takes place on one of the resort’s beautiful secluded beaches in the early morning, when Surya – the God of Sun – is believed to rise. During this time, blessings from Surya and Baruna – the God of Ocean – are perceived to occur for a chance at a clean and fresh new beginning. Completing the journey, a piece of three-colored string, called Benang Tridatu, is tied around the guest’s wrist and worn until it falls off – symbolizing their quest for balance, harmony, and understanding. The Ritz-Carlton Residences, Waikiki Beach, the luxury residential-style resort on the majestic Hawaiian Island of Oahu, welcomes guests to take in the natural beauty of the island with the recently introduced Sunset Flower Drop. 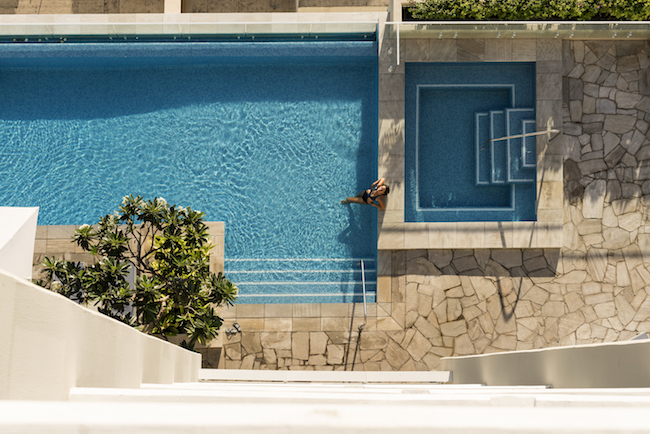 Spectators are invited to gather around the stunning eighth floor pool – the highest infinity pool in Waikiki – as thousands of fresh flower petals are delicately released from above. From crisp dendrobium orchids to fragrant plumerias, this special ritual provides the perfect moment to capture a photo or video that will last a lifetime, as the gentle Hawaii breeze guides the bright petals to the ground, the colorful sunset providing a surreal backdrop. The unique experience is the only flower drop in Hawaii and is part of the enriching programming offered by the newly debuted resort. Wow toss up of where to book now!